Life can throw all sorts of curveballs at you. Whether it’s a traffic jam that makes you late for your big presentation or a wardrobe malfunction that ruins your day, the unexpected can easily pop up and put a damper on your smile. But it isn’t just minor everyday disasters that can make you stop smiling — so can a dental emergency. What should you do when a dental disaster strikes? Your emergency dentist in Upper Arlington is here to help. 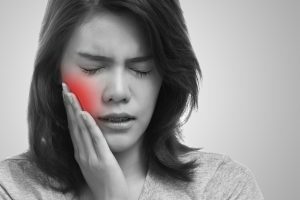 Even if you just have a severe toothache, you should get to your dentist in Upper Arlington as soon as you can. The cause might be nothing major, but you shouldn’t ignore your pain. You might have lost a big filling without realizing it, or perhaps you’re dealing with an infection. In any case, it’s best to have a professional assess the situation. Depending on the nature of the dental emergency, there may be things you can do to minimize the damage. If you lose a tooth, hold it by the top as you gently clean it. Either store it in your mouth or in a container with milk or saltwater until you get to the dentist. It might be possible for the tooth to be reattached. If you lose a crown, try to replace it over your tooth. Avoid chewing on that side of your mouth. However, it may not be possible to put the crown back in your mouth if it is broken; in that case, hold onto the crown so your dentist can determine if it’s possible to repair it. If you have a severe toothache, it’s all right to take painkillers. Try to determine if something is stuck between your teeth; in that case, flossing might relieve your pain. Regardless of the nature of your dental emergency, it’s important that you call your dentist right away. They can give you tips on what to do in the moment. And since they’ll know you’re coming to the office, it’s more likely that they’ll be able to get you into a treatment room the moment you arrive. If your emergency happens on a day when your dentist’s office is closed, it’s possible that you can wait a day or two to receive care. However, if you’re in severe pain or you suffered a jaw injury, you might need to visit your local emergency room. Ouch! A dental emergency can hurt your smile and ruin your day. Know what to do so your life can get back on track as soon as possible. Dr. Angela Courtney leads the team of dentists at Artistry Smile Center. Her compassion and experience come together to create a positive experience for her patients — even those who are suffering from a dental emergency. If you have questions about what to do when your oral health takes an unexpected turn for the worse, contact Artistry Smile Center at 614-451-7393.